I love reading tabloids while I am waiting in line at the supermarket. It's one of my guilty pleasures. Generally, most of my other guilty pleasures involve sugar, an abundance of chocolate, a jar of Nutella and a spoon. But really! How can you read a headline that says "Alien Bible Found!" or "Man's Head Explodes in Barber's Chair" and not be slightly curious? Sometimes I make a conscious decision to stand in the longest line at the supermarket so that I can flip through the pages of these tabloids. I never buy them but, for some reason, I love reading about and seeing pictures of the secret lives of celebrities, their on again-off again relationships, see them compare their butts to Kim Kardashian's and *gasp* are those wrinkles and cellulite?!? 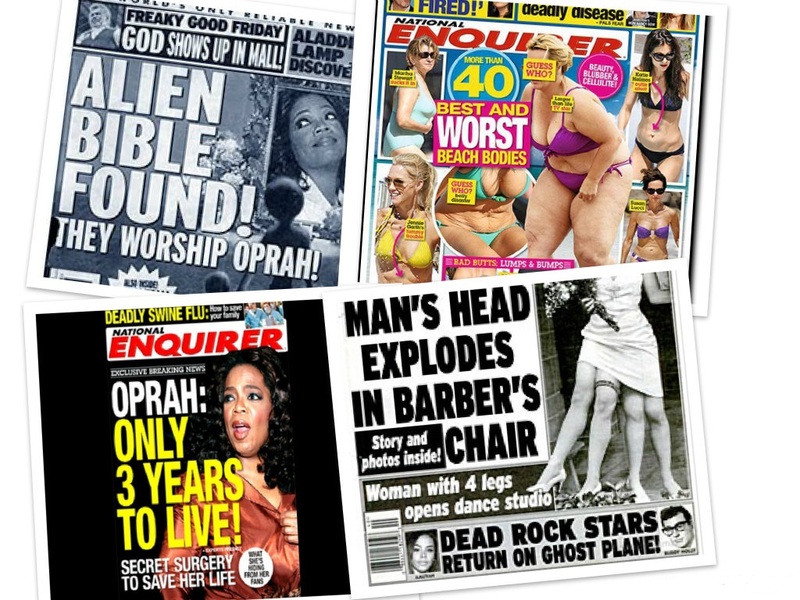 These tabloids are so bad that they are actually good! Does that make any sense? I know that most of the stories are not true and frankly, I don't care. I have a love-hate relationship with them though. I love them because they entertain me for a short period of time; but I hate them because some people's sheer stupidity makes me so angry. Just thinking about the stories they try to convince us of hits a nerve. I sometimes feel sorry for the people who have to put these tabloid articles together. Surely they don't believe everything they publish, right? (I hope they don't!) As I indulge in the ridiculous gossip and stories, my facial expressions go from neutral to "huh?" to "ARE YOU KIDDING ME?!" very quickly. So, back to guilty pleasures. My list of guilty pleasures can get very long: eating just the icing off of cakes then leaving the rest in the fridge (yeah, I do that sometimes. But I end up throwing the cake away shortly after cause well, you know, it's not a pretty sight-- naked icing-free cakes! 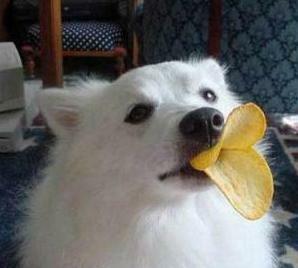 ), watching retro cartoons on Saturday mornings, making the ORIGINAL duckface with Pringles almost every time I open a jar, snatching extra toiletries from the hotel concierge cart...the list can go on. Thank goodness that doughnuts are not one of my guilty pleasures. If they were, I think I would be 20 pounds heavier. 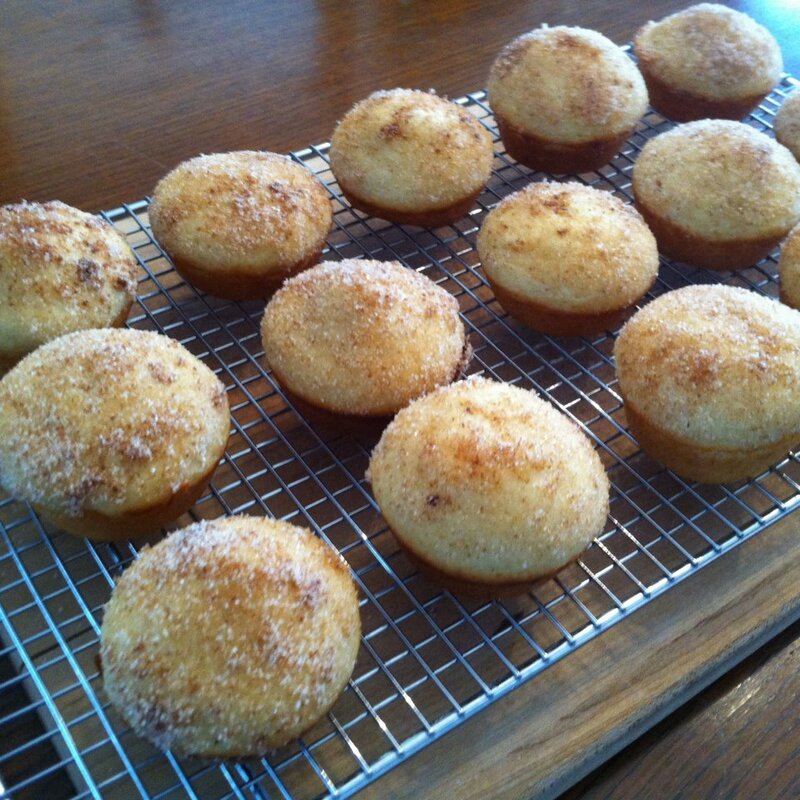 But I know they are guilty pleasures for many of you so if you want the "pleasure" part of the doughnut minus the "guilt", I introduce to you DOUGHNUT MUFFINS or DOUGH-FFINS!! These are the easiest, fastest, tastiest "muffins" you'll ever make. And believe it or not, they aren't THAT bad for you. * Important note* If you decide to make this dough-ffin, fill only half the muffin tin with the dough mixture, add a teaspoon of jelly in the middle and add the rest of the dough mixture until the top. In a small bowl, combine cocoa powder and powdered sugar. Add milk and whisk until smooth. 1. Sift flour, baking powder and baking soda into a bowl. 2. Add sugar, salt and nutmeg. 3. Mix together and make a little well in the middle of your bowl. 4. Add the milk, yogurt, egg, oil, vanilla and almond extract. 5. Mix the wet ingredients together with a fork and slowly start incorporating the dry ingredients while mixing. 7. As soon as it is out of the oven, remove from the tins and customize your dough-ffin. 7.1. If you want cinnamon-sugar, brush the warm dough-ffin with the melted butter and toss in cinnamon-sugar mixture until well incorporated. 7.2. 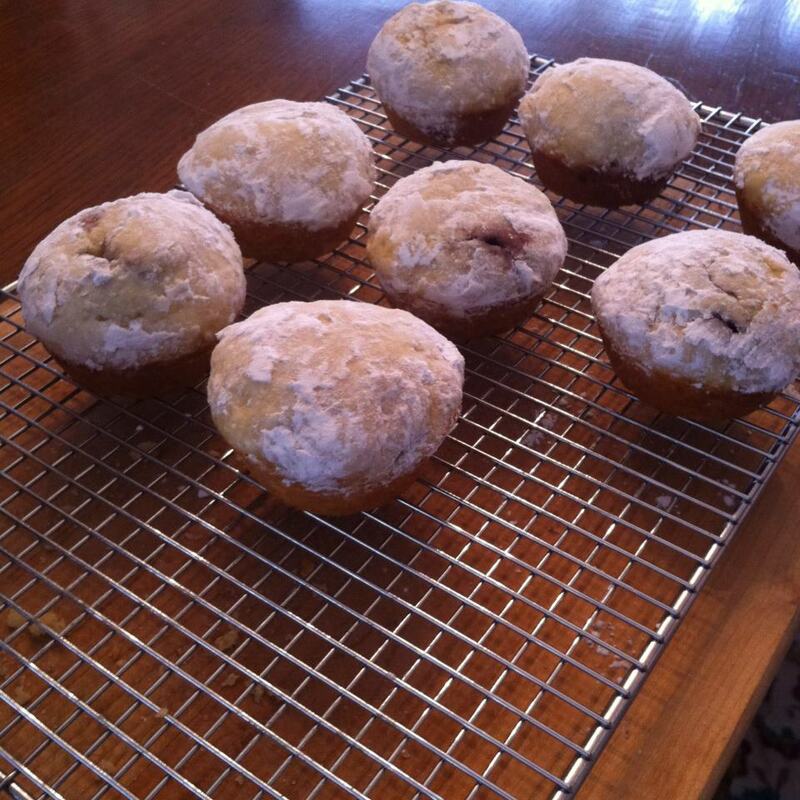 If you made jelly filled dough-ffins, coat the dough-fin in melted butter and toss in powdered sugar. 7.3. If you want chocolate glazed, dip the top half (or all) the dough-ffin in the chocolate glaze. Top with sprinkles, crushed toasted nuts, chocolate chips, peanut butter chips, etc.